There’s no time like the present to snap up a great holiday deal. It’s summer, people – the sunshine is meant to be enjoyed, not stared at longingly from behind the glass of your office window. Unproven but widely-acknowledged, it’s basically holiday fact that the sun in destinations like Spain, Goa and the islands of Cape Verde just feels better on the skin. Maybe it’s the lack of grey clouds blocking the rays. And with such amazing holiday deals floating around these days, there’s only one way to find out. This mega hotel comes ready with its very own splash park, an Aerial Adventure course, a football academy and a Balanceability programme designed by an Olympic medal cyclist. It also features kids clubs that cater to a wide age range, so the word ‘boredom’ isn’t in anybody’s holiday vocabulary. Adults, on the other hand, take solace in the luxury swim-up rooms, six pools and four restaurants, whose cuisine range from Tex Mex to Indian. 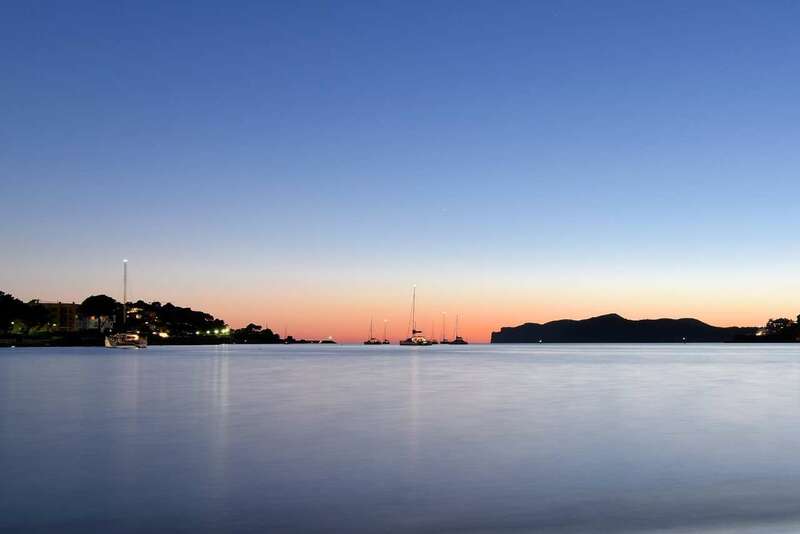 Just beyond the hotel is the town of Cala Millor, which is Spanish for ‘better bay.’ So you know what that means – a long beach covered in enough sunloungers to sunbathe for a lifetime, plus a restaurant-packed promenade and watersports in the waves. With serene blue and cream tones, the rooms at the Jasminn Hotel are designed to help you unwind – and the garden views don’t hurt either. There’s a spacious pool onsite for mid-afternoon dips, plus a shuttle bus that’ll take you directly to the local white sand beach. Bikes are available to rent at this hotel to get you out exploring your surroundings. Goa is renowned for its Mediterranean-like climate – basically, it’s hot here, far and wide. The beaches are the central hubs, speckled with beach shacks along the coast that might look unassuming at first, but are actually home to some of the best Indian cuisine you’ll find on your holiday. You won’t know what to make of the Mareblue Beach’s diverse vibes – on the one hand, it’s a chic Mediterranean spot with a cool, whitewashed exterior and a luxury pool scene. On the other, it’s a rustic getaway, with a romantic restaurant staring out to sea. That beach we mentioned – a two-minute walk will get you there, while 10 minutes takes you to Lake Antinioti, a protected wildlife area. Covered in a lush, forest landscape, St Spyridon is optimal for outdoor exploring during the day, while traditional tavernas dishing up Greek eats keep you busy by night. Ice cream-coloured buildings make up the Kissos Hotel, a 3* spot that’s woven with swimming pool lakes. During the day, it’s all about the pool scene, while night-time brings evening entertainment and nightly quizzes in the cocktail bar lounge. The Kissos Hotel is slap bang in the centre of Paphos, putting everything the resort has to offer at your fingertips. The sand-and-shingle beach is five minutes away, as are the ruins that have given this town a bit of a reputation for being a historical hotspot – there’s the Tomb of the Kings, a Venetian castle, monasteries and archaeological sites, and just as many ways to tour them. The 5* rooms composing the Melia Dunas Resort give new meaning to luxury. The hotel is practically its own isle – it takes 15 minutes just to make it from one end to the other. All that swank? It’s made up of three a la carte restaurants and a buffet spot, two swimming pools and a splash park and at least six bars – yes, six, and one that’s exclusively for champagne. Okay, so you might wonder why anyone would ever leave – Sal, the hotel’s teeny home island, has an answer for that. Along the coast of Africa, it’s treated to a dazzling 350 days of sunshine per year, which means that days at the beach are a given. The food is local and the nighttime activities are long, plus, the island’s so small that the farthest destination is a 20-minute drive away, so resort-hopping is hassle free.